Introducing...my new summer handbag! 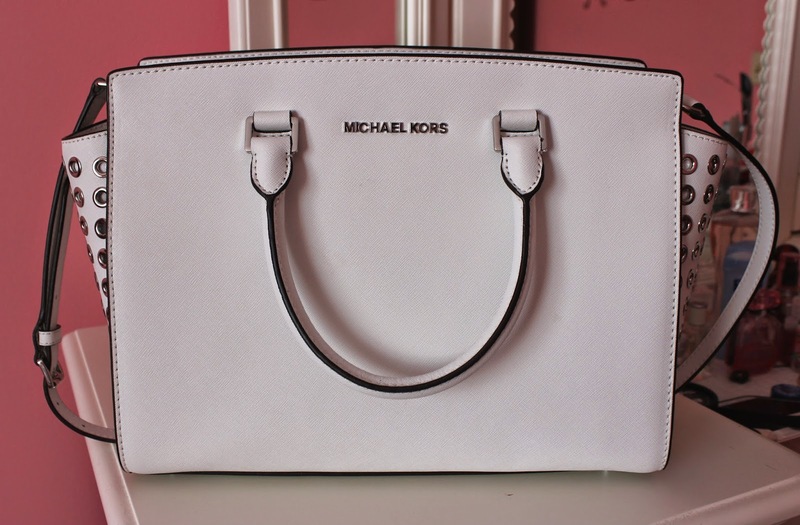 After much contemplating and online shopping, I decided to go with the Michael Kors Selma Grommet in white. I first saw this bag a couple months ago and wanted to get it in pink but I decided not to since I wouldn't be able to wear it with everything. Other than quality, the color of a handbag is important to me because I want it to be able to go with everything that I'm wearing. Why spend that much money and not be able to wear it everyday? As for the color, although I was paranoid at first about carrying a WHITE bag, I slowly warmed up to the idea and now I'm glad I bought it! White just screams summer and surprisingly I don't see that many people carrying white bags in the summer so I thought it was a nice change. What attracted me to this bag was the structure which resembles the flaps on a Celine bag (which I'll probably never be able to afford) and the fact that it stands up on it's own without having to stuff your bag with a bunch of things. In these photos the bag is empty and it still keeps it's shape! 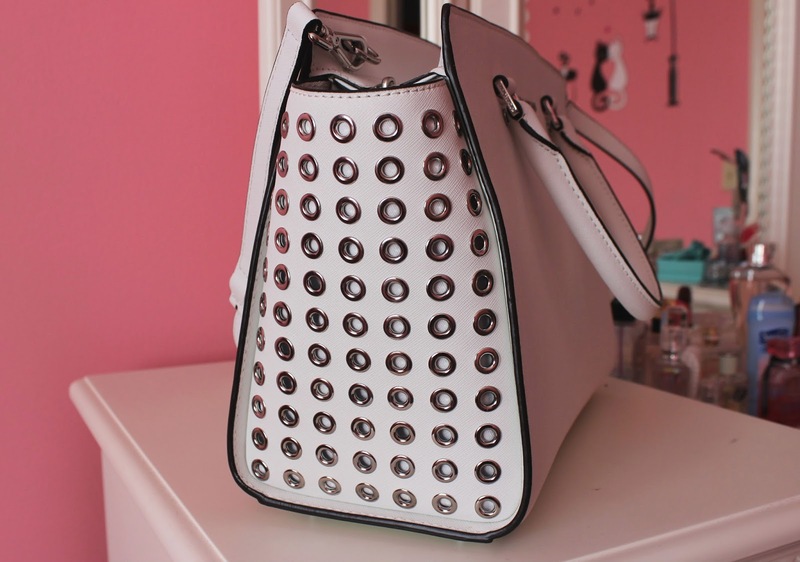 I also loved the silver grommet on the sides which makes the bag more eye-catching yet is still plain enough for everyday. The size that I got is a large which is roomy enough for stuffing things in there but not so big that it's overwhelming. As you guessed from the title of the blog, I'm pretty short so carrying an oversized bag just makes me feel smaller than I am haha. Another plus is that it also comes with an attachable crossbody strap which is great when I get tired of carrying it in my hands all day. 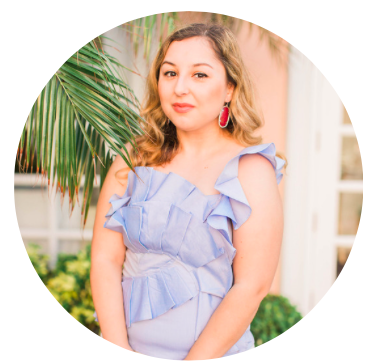 I hope you enjoyed this post and if you're looking for a Selma bag of your own check out department stores like Macys or Michael Kors stores. If you're looking to get one for cheaper like I did check out Threadflip or Ebay and make sure to get it from a trusted seller. Although they do come in a variety of different colors, I haven't been seeing all of them in stores so your best bet is online.